For the past half-century, issues relating to the ethical conduct of human research have focused largely on the domain of medical, and more recently social–psychological research. The modern regime of applied ethics, emerging as it has from the Nuremberg trials and certain other historical antecedents, applies the key principles of: autonomy, respect for persons, beneficence, non-maleficence, and justice to human beings who enter trials of experimental drugs and devices (Martensen in J Hist Med Allied Sci 56(2):168–175, 2001). Institutions such as Institutional Review Boards (in the U.S.) and Ethics Committees (in Europe and elsewhere) oversee most governmentally-funded medical research around the world, in more than a hundred nations that are signers of the Declaration of Helsinki (World Medical Association 2008). Increasingly, research outside of medicine has been recognized to pose potential risks to human subjects of experiments. Ethics committees now operate in the US, Canada, the U.K. and Australia to oversee all governmental-funded research, and in other jurisdictions, the range of research covered by such committees is expanding. Social science, anthropology, and other fields are falling under more clear directives to conduct a formal ethical review for basic research involving human participants (Federman et al. in Responsible research: a systems approach to protecting research participants. National Academies Press, Washington, 2003, p. 36). The legal and institutional response for protecting human subjects in the course of developing non-medical technologies, engineering, and design is currently vague, but some universities are establishing ethics committees to oversee their human subjects research even where the experiments involved are non-medical and not technically covered by the Declaration of Helsinki. In The Netherlands, as in most of Europe, Asia, Latin America, or Africa, no laws mandate an ethical review of non-medical research. Yet, nearly 2 years ago we launched a pilot ethics committee at our technical university and began soliciting our colleagues to submit their studies for review. In the past year, we have become officially recognized as a human subjects ethics committee for our university and we are beginning the process of requiring all studies using human subjects to apply for our approval. 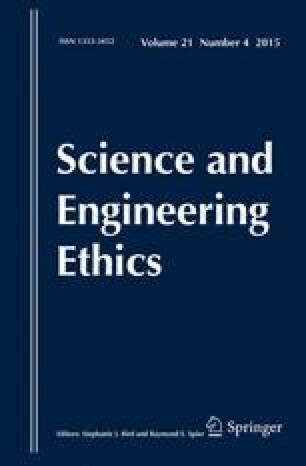 In this article, we consider some of the special problems relating to protecting human participants in a technology context, and discuss some of our experiences and insights about reviewing human subjects research at a technical university, concluding: that not less than in medical studies, human participants used in technology research benefit from ethical committees’ reviews, practical requirements for publications, grants, and avoiding legal liability are also served by such committees, and ethics committees in such contexts have many similarities to, but certain other special foci than medical ethics committees. We believe that this experience, and these observations, are helpful for those seeking to establish such committees in technology research contexts, and for framing the particular issues that may arise in such contexts for the benefit of researchers, and nascent committees seeking to establish their own procedures. Many thanks to Hendrik vom Lehn, our assistant for the committee who helped create the table by researching the existence of ethics committees at top technical universities.